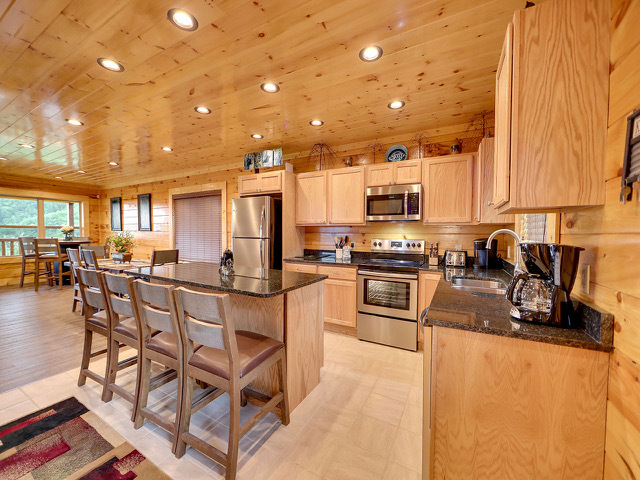 Where can you come to get it all and never get enough? 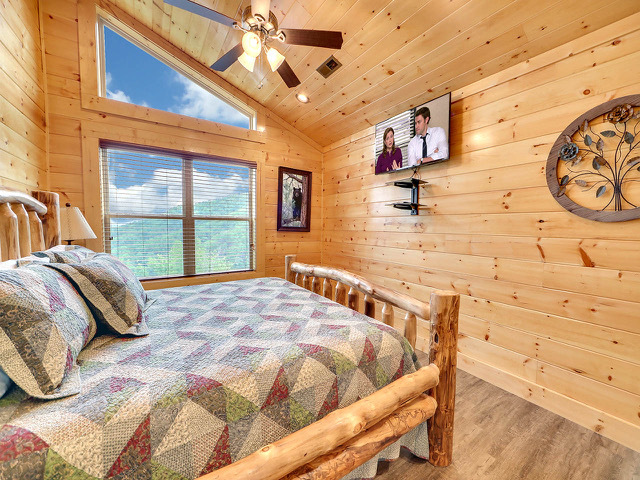 Dancing Bear Cove in the Smoky Mountains! 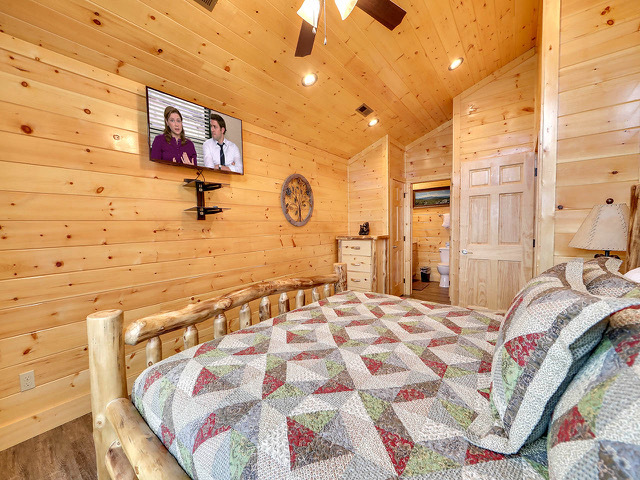 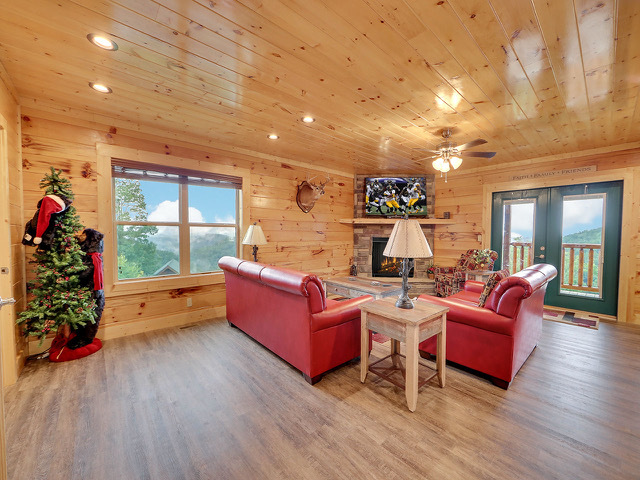 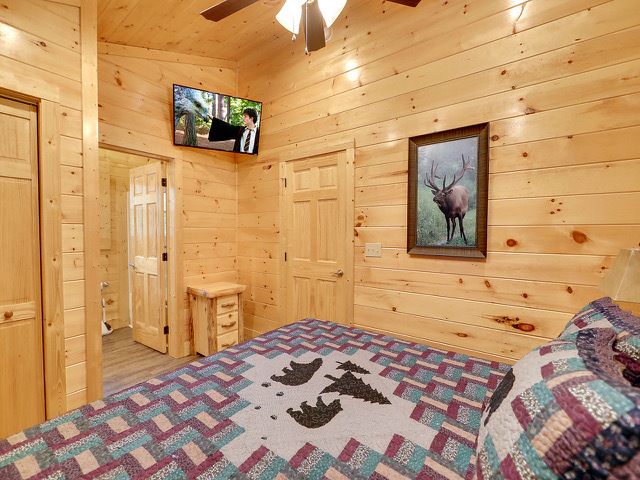 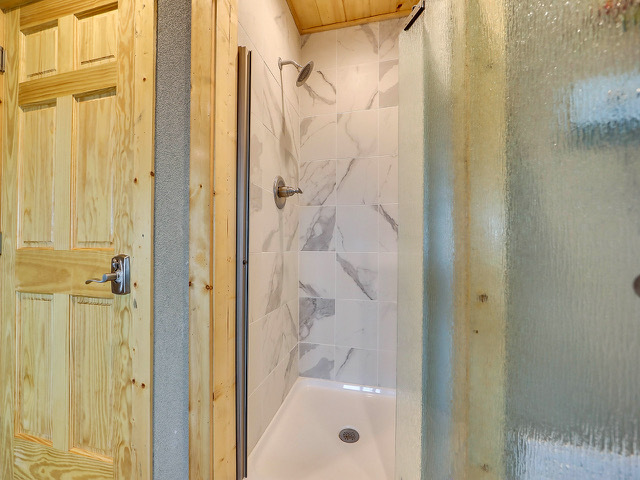 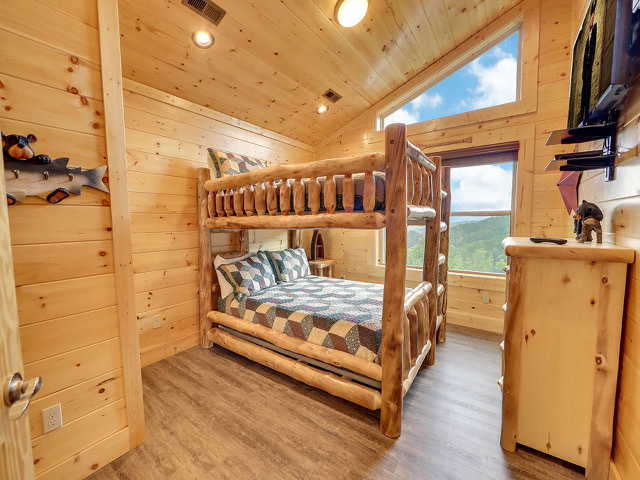 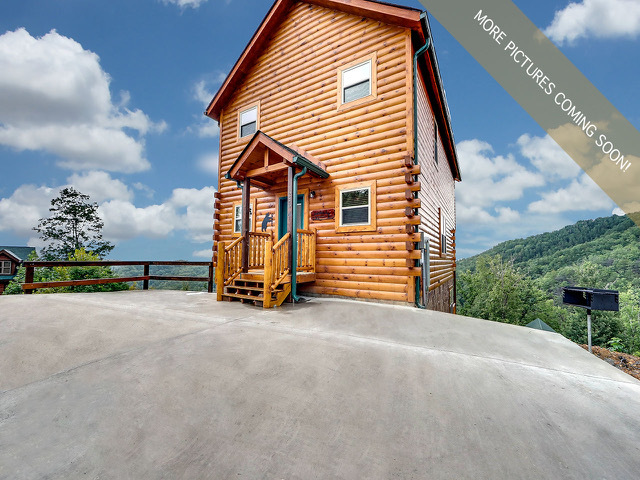 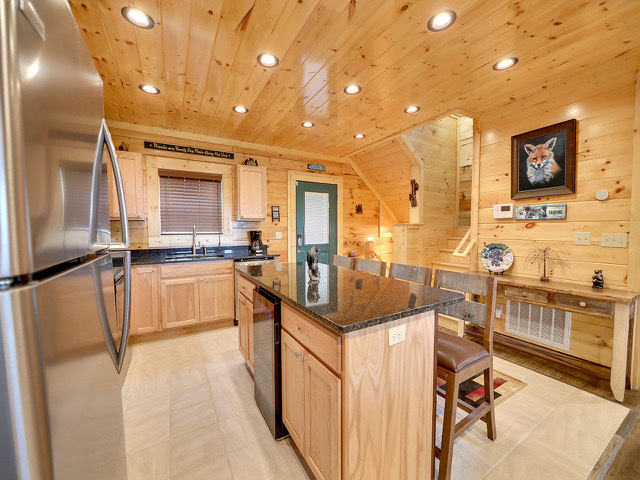 This brand new 4 bedroom 5 bathroom luxury cabin is located just minutes from downtown Gatlinburg and the parkway in Pigeon Forge. 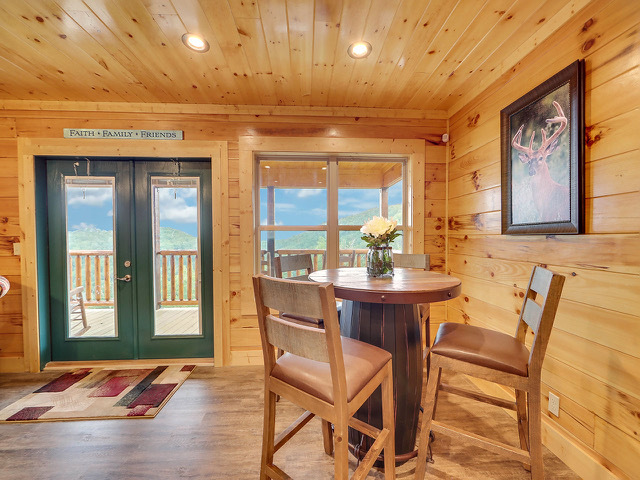 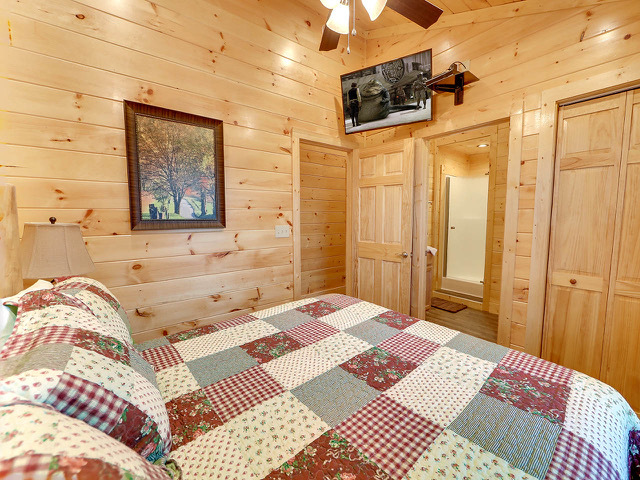 Dancing Bear Cove is the perfect cabin for your next group getaway to the Smoky Mountains. 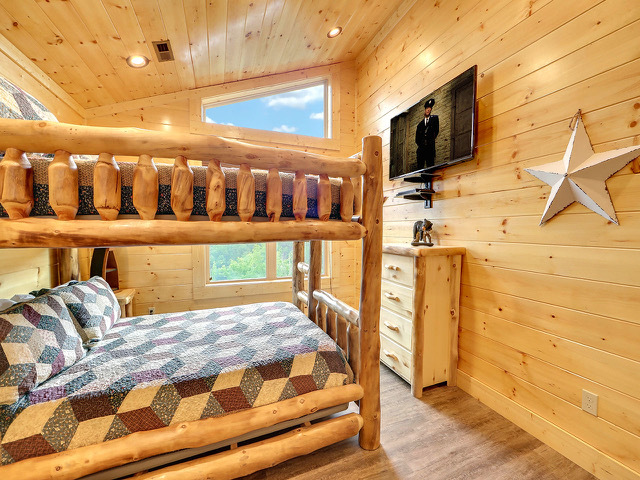 Featuring 3 King bedrooms and a Queen bunk room, you have the ability to sleep 12 comfortably. 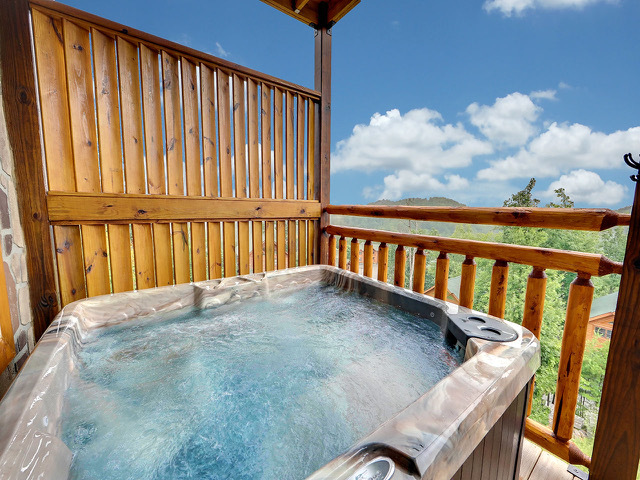 Relax in the comfort of your hot tub, overlooking the spectacular Smoky Mountains. 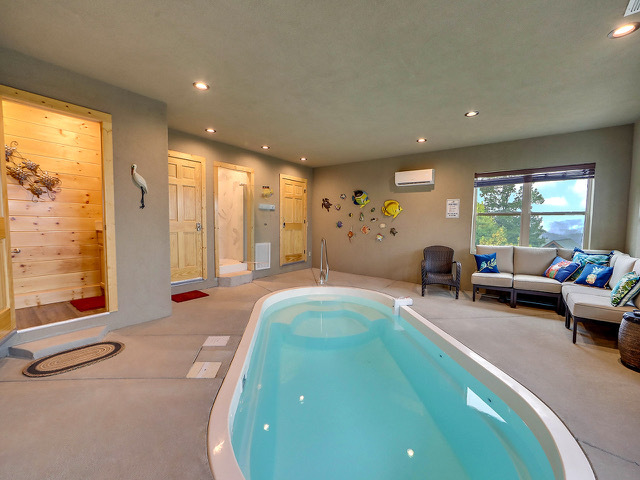 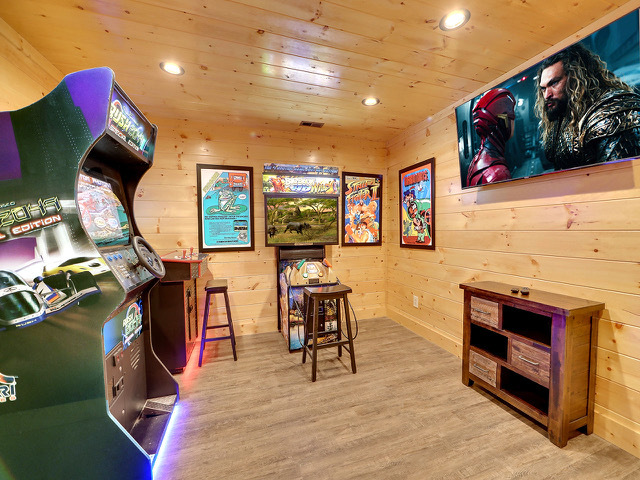 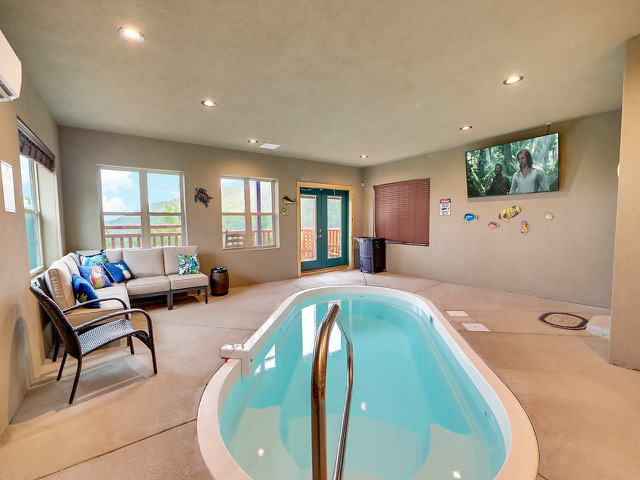 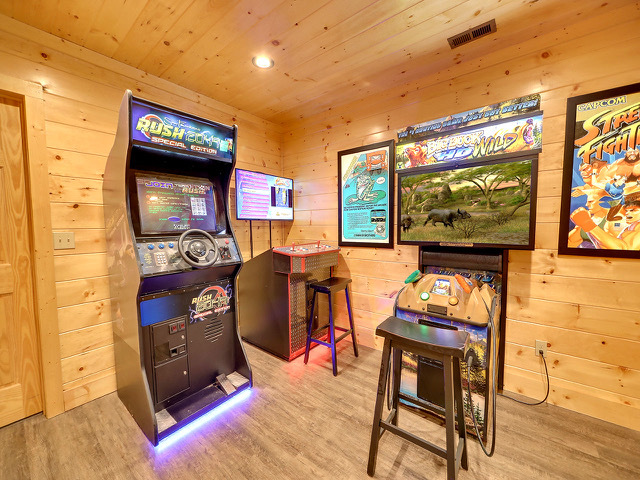 The arcade games, and pool table are sure to keep the entire family entertained, and to top it off, the in-cabin indoor swimming pool will provide hours of fun and enjoyment for everyone. 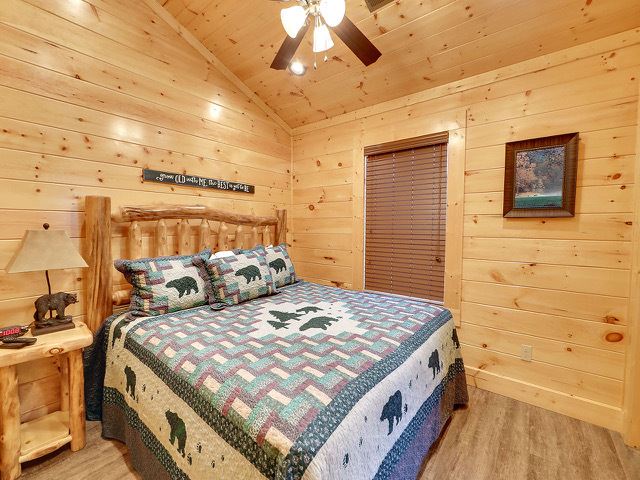 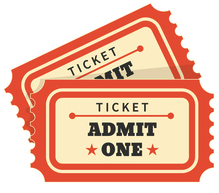 Take a short drive to Dollywood, less than 15 minutes away and head from there to Ripley's Aquarium, a 5 minute drive from the cabin! 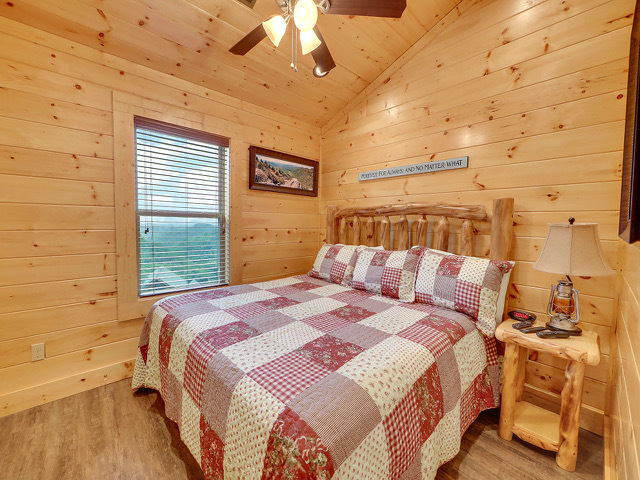 Come experience what total luxury feels like; enjoy Dancing Bear Cove today!